We released the app in December just a week before Christmas. We had no idea about the process, and before we knew it, with the help of some faithful friends votes we made it to the what’s hot category. From start to finish the app took a year, for a team of four. The story and screens were finished October 2012, but development, animation and sound all took a long time to get right. I love the way the guys made the interactions work so well for each character. I imagine its kind of like the old popup books of old. Simple interactivity but really adds to the whole. Berry the bilby blowing up made me laugh and laugh when I first saw the animations come back. I think she sets the tone for the rest of the story. Fine motor skills was a big part. I have many friends who just happen to work in the special needs and various early childhood development educational programs. Upon consulting with many we thought that the basic animations and simple refined animation in a repetitive way would help them overcome some of the disenchantment they felt with other complex apps. We also say that there weren’t any really dominant app helping kids’ learn about Australian animals specifically. Most are northern hemisphere or African. The fun facts add a dimension to this. Enhancing retention was also a big thing. Hence the inclusion of a memory game and a quiz, for those that had exposure to the app for a while, could still get interest and be challenged from it. At first we decided it was best from 3 – 6 years of age, but after talking with parents have found that children as young as 2 years old are picking it up and running with it. We have also heard some seven year olds are using the touch press word sounding to help learn. Absolutely. I would like to bring out a version where the words glow as the story reads through, increasing the ability for children to learn form it. All Grown Up by Christopher Cotton is a wonderful interactive and animated children’s storybook for ages 3 – 6 years old. 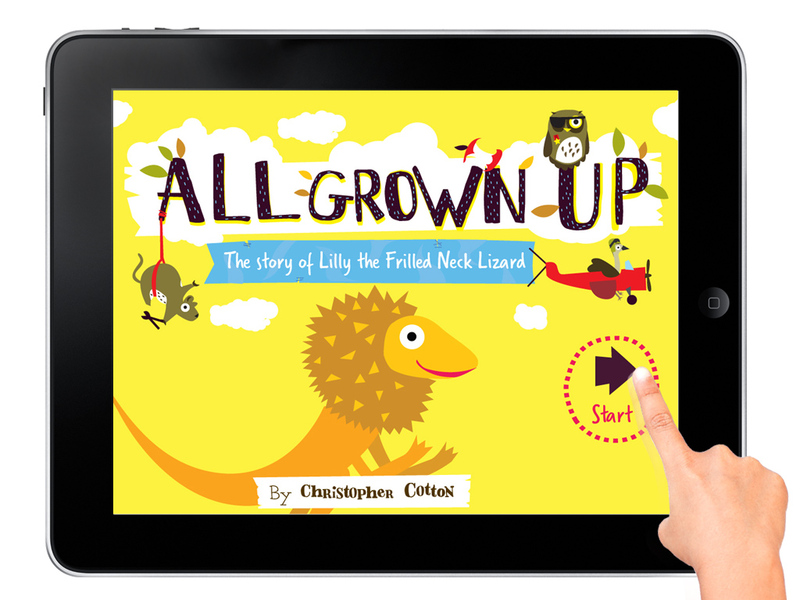 All Grown Up is a story of frilled neck lizard Lilly who visits her friends after they don’t turn up to play. She learns along the way that everyone has lives of their own, but that doesn’t mean she’s not loved. The interactive, animated book features a guitar playing Tasmanian devil, a plane flying emu, and a koala that’s a spy to name a few. 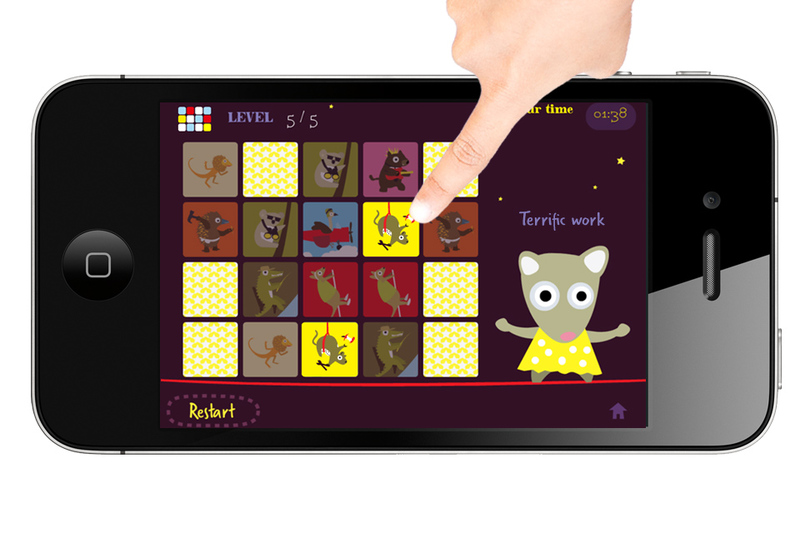 The app includes interactive sounding words, fun facts, a quiz and a memory game.